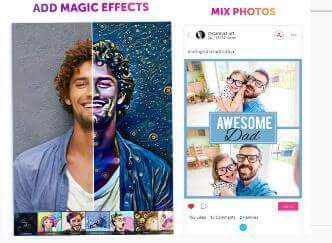 Best Photo Editor Apps for Android & iOS – Today everyone uses smartphone to take a photo(picture) & we spend extra time for shine his photo before sharing with the friends and family. There are many Android apps in the PlayStore and iOS that will let you tweak your pictures directly on your smartphone. This app has many feature like – remove blemishes, add effects, add frame, filters, collage and more. Here are the best photo editing apps list. When you first open PicsArt Photo Studio, it feels like a combination of Photo Editor and social network. PicsArt comes with an effective user interface, comes with hundreds of photo editing tools which are enough to bring it to the first place in the list. this photo editing app allows you to modify ordinary images into the cool attractive picture. another cool feature of PicsArt photo editor is Advanced artistic brushes and painting tools with layers. The company claims that 255 million people have already downloaded this free photo editor software. PicsArt photo editing app allows sharing images on a variety of popular social platforms like PicsArt, Facebook, Twitter, Instagram, Dropbox, and WhatsApp. Pixlr is a most powerful and light weight app for photo editing. 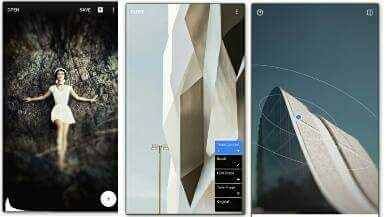 This app developed by Autodesk and available for both iOS & Android OS. I am personally like this free application because it offers a lot of features in a small package. The user interface is really impressive and you will not face any problem. when you touch on “adjustment” subsequently you see a large list of features like- Auto FX, focus, remove red eye, brightness and more. you can download online million of photo effects and text fonts. 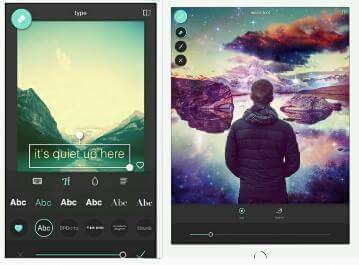 Pixlr photo editing app allows to Share your photo directly with friends through popular social platforms like Instagram, Facebook, Twitter, or email. This photo editor can easily work on Android as well as iOS platform. VSCO is very popular among professional photographers due to its powerful editing abilities and advanced effects. The output result of this editor is the mixture of natural effect and eye catching style. Snapseed is an another free photo editing app and it is developed by Nik software a subsidiary of Google. 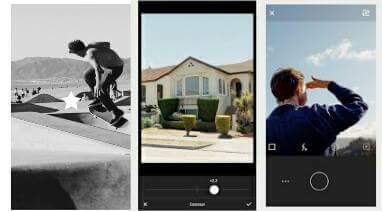 Snapseed provides professional photo editing features on your smartphone, where previously only available on the desktop. This app was top 100 best android app of 2015. Snapseed comes with an automatic adjustment of colors, adjust exposure, white balance, add thousands of effects, and many other basic photo editing features. another cool feature of this picture editing app is a vintage tool (Retrolux), which makes your photos look truly retro and vintage. When you finish photo editing then you can share images on social networking site. Lidow is a very light weight photo application (only Size 7.7MB) and this app required 2.3 and up Android OS. if you upload photos on Facebook, Instagram, and WhatsApp, with the touch up of the lidow app, you can be a super star on social media. you can easily blur other objects, and Another best feature of this photo editor is color splash effect. use Lidow app and make your photos unique and different. Aviary is one of the best photo editor application and adobe Acquires Aviary to Creative Cloud App Development. But that doesn’t mean Aviary has since become a Photoshop copy. This app comes with some useful tools and super intuitive interface so you can get right to editing. 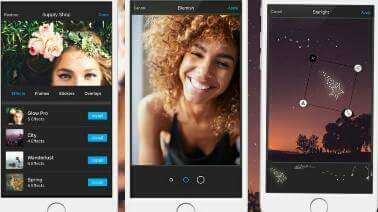 This app is very useful in photo editing and perfect for creative people. Aviary photo editor has many feature like- One-tap auto enhance and refine balance of Color and saturation. 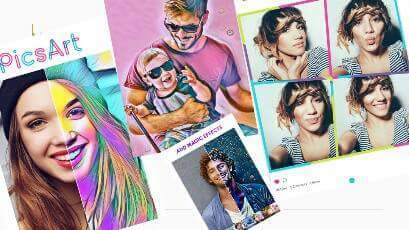 In this app, you can make amazing photo collages, create digital drawings, add many frames, image overlays, and text printer. 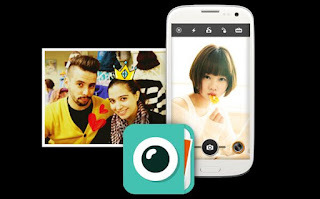 Cymera is another selfies focused photo editing apps for Android mobile. you can Take the best selfies by snapping your moments with free 100 live filters and Many camera options for better selfies – Silent mode, anti-shake, timer, selfie, out-focusing options. Cymera app features are – add Collages, add frame, 70 hair designs, One-tap beautifies enhancer, basic Photoshop feature. Another best feature of this app is the backup feature, you can backup all photos in your device via Google Drive and Dropbox.